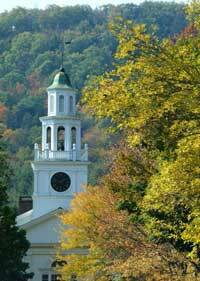 Vermont my neighbor state is known for being a little different and you can add requirements for Limited Liability Company formation to the list. Apparently on June 6th a bill was signed that will no longer require LLCs to have a physical address (in Vermont anyway). This trumps Delaware in startup friendly law and will enable Internet startups to flourish by existing only virtually if so chosen. Unfortunately, this will probably allow fraudulent companies to flourish as well. However, the bill does have merit in the Internet age with companies being created as holding companies for blogs or other web-based use.